Dennis Hall is a leading Life Financial Planner, one of only a handful of Kinder Institute accredited Registered Life Planners. Alongside financial planning, Dennis helps his clients to discover and articulate goals and aspirations more clearly. Dennis can then tailor financial strategies to help his clients attain them. He shares some basics on managing finance during your divorce in this series of videos. This is video 1. To receive videos 2-5, sign up to the Naked Divorce newsletter. The newsletter also includes the Financial Plan which can be downloaded with compliments from Dennis and Naked Divorce. These techniques are relevant to someone who is getting stripped of everything in a divorce. 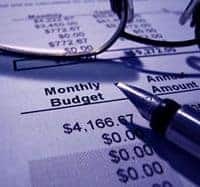 Though it is always difficult to handle finances during the divorce process, especially if the kids are involved, these tips can help greatly. Thank you for sharing.